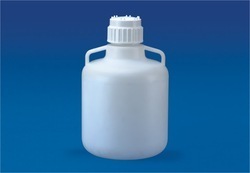 - Made of polypropylene, Carboy are much lighter than glass. - Tight fitting lid, leak proof sealing. We are fruitfully catering to the assorted demands of the customers by trading HDPE Drum. With our expertise and trustworthiness, we are engaged in offering an optimum quality range of HDPE Drum. Mahaganesh Petrochem & Packaging Ind. 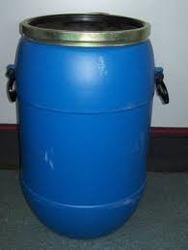 We are presenting an exquisite range of plastic blow moulded HDPE Drum. These products are developed using advanced tools and techniques by our skilled workforce.